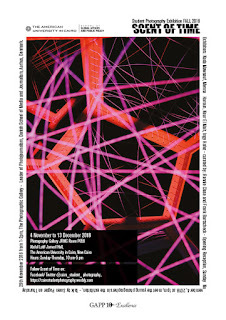 A photographic exhibition, “Scent of Time,” hosted by the Photographic Gallery at The American University in Cairo (AUC). The exhibition will feature selected student photography projects from the Department of Journalism & Mass Communication. Each student has been drawn to photograph time, record it and extend it with image and text. The impressive photography work displays the students’ talents and their ability to capture the moment and offers new visions onto contemporary Egypt. The exhibition will also feature a talk by Søren Pagter, who is the head of the photojournalism education at the Danish School of Media and Journalism. For the past 20 years, Pagter taught Danish and international photojournalists both at the school in Aarhus University and at various workshops around the world.